Need to a set up a cheap business phone line? We can help! UniTel Voice is the cheap phone system you’ve been looking for. We offer high quality service at a low price point. 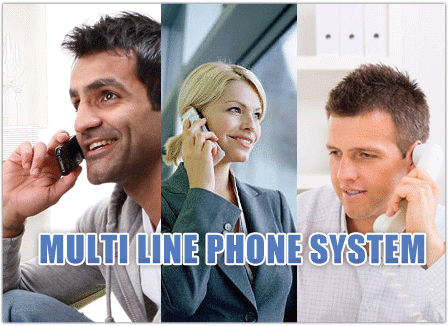 With UniTel Voice you can cheaply and easily set up a business phone line in a matter of seconds. Whether you need 1 line or a 10 line phone system, every UniTel Voice plan includes unlimited extensions (virtual phone lines) that forward calls to your existing phones (home, office, cell, landline, VoIP, or virtual voicemail box). All plans includes a professional virtual auto attendant and all the phone system features you need to run your business from anywhere. And remember, affordable doesn’t mean poor quality. Our virtual phone system is one of the most advanced on the market, thousands of small business owners from startups to emergency service providers rely on our business lines every day. 1. It’s affordable but it’s not cheap. UniTel Voice is a cloud-based phone system that allows you to set up virtually unlimited business phone lines that forward calls to your existing phones. Starting at around $10 a month you can get a reliable toll free number or local virtual number and a custom auto attendant that greets and routes calls to any combination of department or employee extensions. 2. It’s completely virtual and loaded with features that make running your business easier. With UniTel Voice every phone line doubles as an internet fax line. Which means you don’t need a fax machine. When people fax your business phone line, UniTel Voice recognizes that it’s an incoming fax and sends it right your email as a PDF attachment and your UniTel Voice smartphone app. You can also receive voicemails in your email inbox as well as the app. Here’s a complete list of cheap business phone system features that all you to run your business from your cell phone and still sound professional. 3. Setup is super easy and there’s no activation fees, cancelation fees, or long term contracts? You can sign up for UniTel Voice is less than a minute and start receiving calls on your very own business line today. Every UniTel Voice account comes with our free USA-based support and our 30-day money back guarantee, so there’s no risk if you’d like to give us a try.